Home / Uncategories / "Paleo Grilling: A Modern Caveman's Guide to Cooking with Fire" Nominated for Paleo Magazine Best of 2014 Awards! 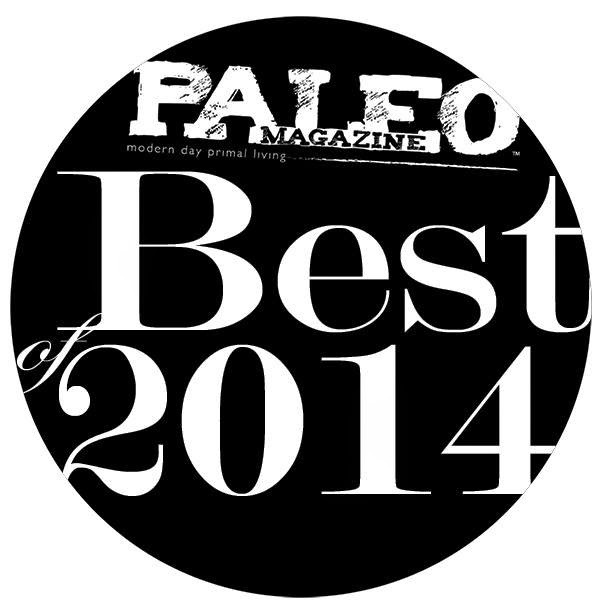 "Paleo Grilling: A Modern Caveman's Guide to Cooking with Fire" Nominated for Paleo Magazine Best of 2014 Awards! When working on "Paleo Grilling: A Modern Caveman's Guide to Cooking with Fire" it was always my hope that the love and attention poured into each page would be felt by readers. I'm thrilled to see that this dream has come true and as of this writing, out of 26 Amazon.com reviews, "Paleo Grilling" has 25 5-star reviews and one 4-star review. "I highly recommend this book. It has everything covered, from laying out Paleo facts, myth-busting mainstream hearsay, to delicious recipes. It’s also an ideal book for those new to the Paleo scene or those who are struggling to get their family and friends to join this amazing lifestyle. Either way, you will not be disappointed! Thank you, Tony and James, for a great book!" "Sometimes its hard to make paleo an easy, social, acceptable way of eating in public. This book makes it the star. You can eat paleo and have the most amazing dishes, with zero sacrifice at all. In fact, with this book, grilling goes so far beyond the standard, and made mine and my roommates a summer of lessons learned about prepping meats, using the right tools, and giving the right treatment to the right cuts, never leaving out the vegetables and other amazing grillable sides." "It begins with a Cantonese saying: "If it has four legs and it's not a table, eat it." In the end it stands as the clearest, healthiest, and most usable grilling book on the market. It also keeps things simple, which is something I'm big on and something many cookbooks get wrong." "This amazing book features some truly mouthwatering recipes and information about how fire revolutionized the way we eat as humans, why the advent of cooking food was so important, the stereotype that men are the only ones who grill and why it's wrong, whether grilling foods can increase the carcinogens on the meat, and a whole lot more. If you love grilling or want to get inspired to fire up the barbie this summer, then this is the book for you!" Creating Paleo Grilling was truly a team effort, so any accolades I receive should rightfully include Chef Jay Phelan, whose refined palate and kitchen experience added a layer of flavor that I wouldn't have been able to accomplish on my own, my wife Jamie who graciously gave me the space, time and energy to complete the project, the team at FairWinds Press who have all be a delight to work with, and all my family, friends, co-workers, and fellow food bloggers who serve as my daily inspiration. This book has always been about more than food, and it is amazing to see my tribe rally around me and support Paleo Grilling. This past week however I was truly #mindblown when I received word that Paleo Grilling had been nominated for the Paleo Magazine Best of 2014 awards in both the "Best New Specialty Cookbook" and "Best Recipe Recreation from a Cookbook" categories. The list of other nominees reads like a "who's who" of Paleo and for my little pet project to make it onto the ballot with them is an absolute honor. It would be HUGE if Paleo Grilling actually won, so I wanted to encourage you, my blog readers who have been with me since day 1, to get out the vote and show your support. All you have to do is click on the link below, enter your email, cast your votes for "Part 1" of the ballot, then click "submit" to go to "Part 2" where my nomination are. When you're done, you'll even get a coupon code for $10 off a year's subscription to Paleo Magazine! Thank you in advance for your support, attention, and inspiration. The long hours and lonely work of writing are rewarded by people like you!